The Adams State University Science, Technology, Engineering, and Mathematics (STEM) Saturdays begin August 26. These free interactive sessions will stimulate imagination and curiosity of students. All sessions are designed with specific grade-level, developmentally appropriate lessons in mind. Registration is required for the sessions. Join NASA in celebrating the Voyager mission’s 40 years of exploring space. Inspired by the messages of goodwill carried on Voyager’s Golden Record, you’re invited to send via social media a short, uplifting #MessageToVoyager and all that lies beyond it. With input from the Voyager team and a public vote, one of these messages will be selected for NASA to beam into interstellar space on Sept. 5, 2017—the 40th anniversary of Voyager 1’s launch. To see the next frontier for food, you may want to look to the stars. With humans now hoping to establish colonies on the moon, on Mars and in the stars beyond, researchers are focusing on ways to produce fresh food in space that will look, smell and taste like the edibles we have on the home planet. Join us for a screening of The Farthest: Voyager in Space. This documentary tells the captivating tales of the people and events behind one of the greatest achievements in space exploration: NASA’s Voyager mission, which celebrates its 40th anniversary this August. Tuesday, August 15, 7 p.m. 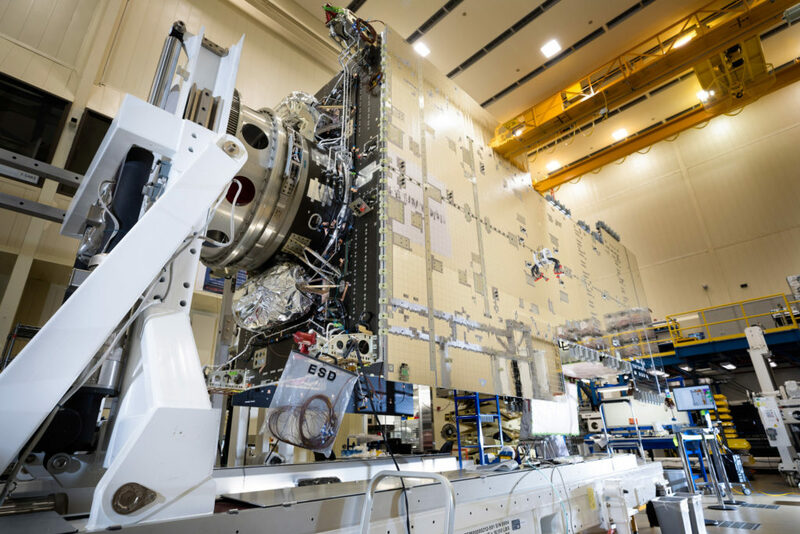 The annual SmallSat Conference in Logan, Utah, USA, has become the premier gathering of companies, educators, hobbyists, and governments developing cubesat and small satellite technologies. For the third year, SWF had a significant presence at the 2017 SmallSat Conference, held from August 5-10, which had record participation from over 3,000 people from 40 different countries. The Colorado School of Mines is establishing a multi-disciplinary graduate program in space resources. The proposed program will focus on developing core knowledge and gaining design practices in systems for responsible exploration, extraction, and use of resources in the Solar System. Experiments seeking a better understanding of Parkinson’s disease and the origin of cosmic rays are on their way to the International Space Station aboard a SpaceX Dragon spacecraft following today’s 12:31 p.m. EDT launch. NASA’s future deep space exploration – including to Mars – is an unprecedented venture in spaceflight, requiring us to tackle challenges we’ve never faced before. For instance, we know the human body changes significantly while in space, and we’ll need to find ways to address those effects. NASA is conducting research to learn more about the long-term impact of extended human spaceflight. One experiment that just launched, Rodent Research-9, is contributing to this goal by sending rodents to the International Space Station, to study how a lack of gravity in space affects blood vessels, eyes and joints. On Monday, Aug. 21, all of North America will be treated to an eclipse of the Sun, and NASA Television will carry it live from coast to coast from unique vantage points on the ground and from aircraft and spacecraft, including the International Space Station. 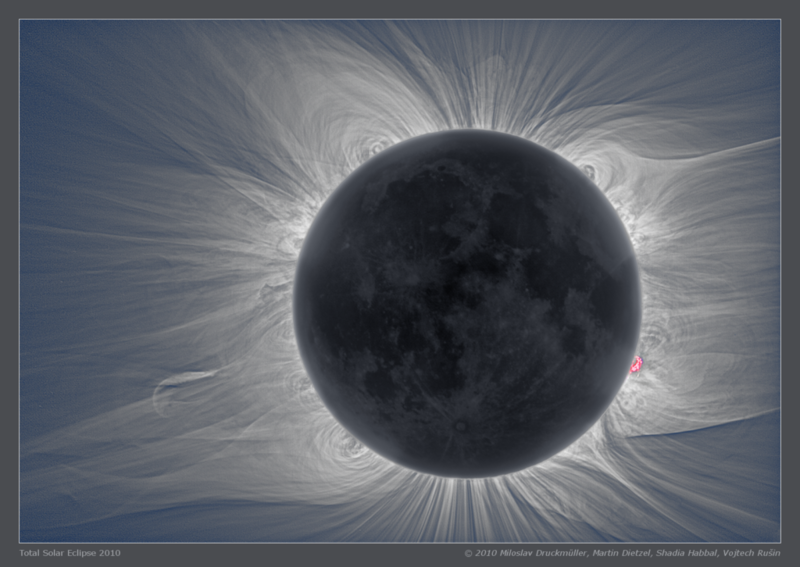 Coverage will be featured during the live four-hour broadcast Eclipse Across America: Through the Eyes of NASA. On August 21, as millions of Americans turn their faces to the sky and marvel at a total solar eclipse, Jenna Samra’s eyes will be glued instead to a laptop screen. She will miss the spectacle because she’ll be inside a Gulfstream V jet, racing at more than 500 miles per hour to do science in the moon’s shadow. One segment featured during the Aug. 14, broadcast of The Extra, a KRDO NewsRadio 105.5 FM/1240 AM show. Discussing the total solar eclipse. The Montreal Protocol, the international treaty adopted initially to protect and ultimately to heal Earth’s protective ozone layer, has significantly reduced emissions of ozone-depleting chemicals from the United States. But in a twist, a new study by NOAA and CIRES scientists shows the 30-year old treaty has also significantly reduced climate-altering greenhouse gas emissions from the United States. 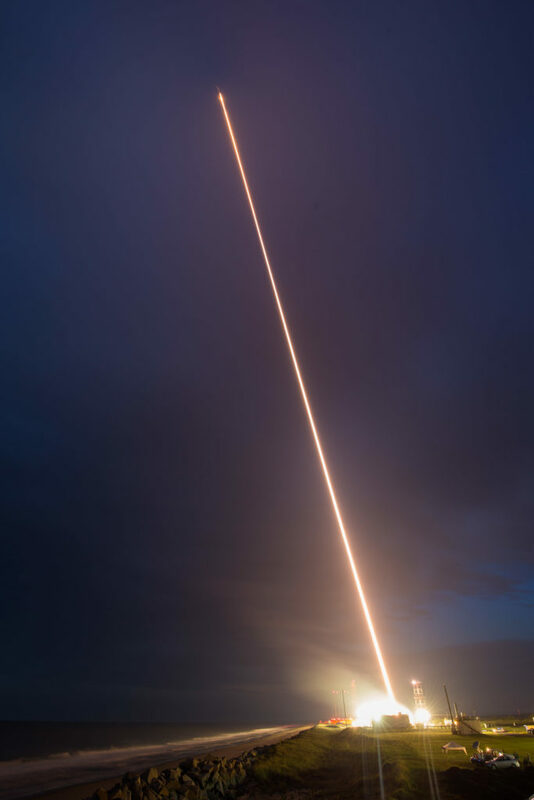 Goddard Space Flight Center’s Wallops Flight Facility has played an integral role in the development of the Cosmic-Ray Energetics and Mass investigation (CREAM) instrument, which started as a balloon payload and is now heading to the International Space Station. 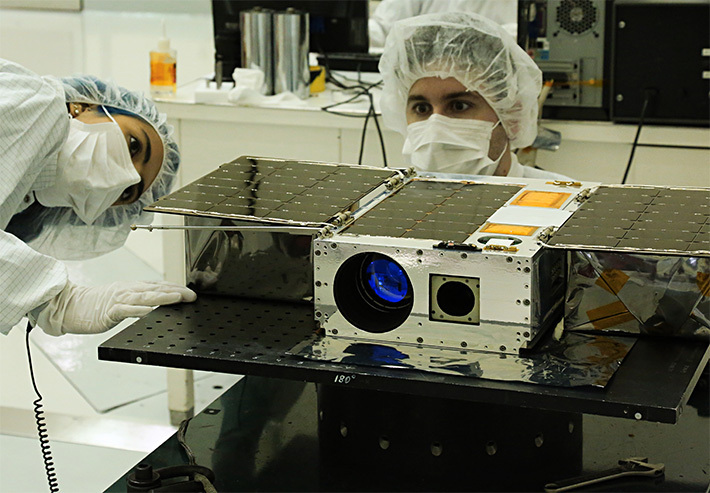 For more than six years Wallops has managed the CREAM instrument for the International Space Station (ISS-CREAM) project, working with the principal investigator Eun-Suk Seo at the University of Maryland, College Park. 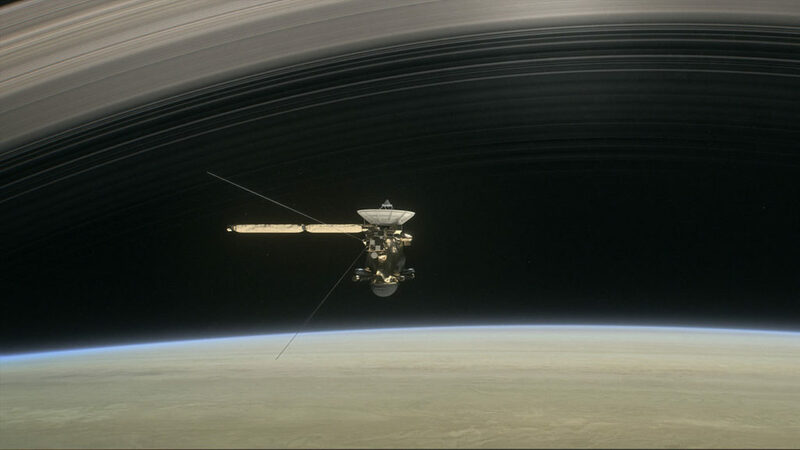 Mere weeks away from its dramatic, mission-ending plunge into Saturn, NASA’s Cassini spacecraft has a hectic schedule, orbiting the planet every week in its Grand Finale. On a few orbits, Saturn’s largest moon, Titan, has been near enough to tweak Cassini’s orbit, causing the spacecraft to approach Saturn a bit closer or a bit farther away. A couple of those distant passes even pushed Cassini into the inner fringes of Saturn’s rings.